This symposium will provide a venue for a scientific conversation between clinicians, researchers, trainees, and affected families to share and discuss clinical issues and basic science, with the aim to set forth a framework for future research, translational applications directed towards therapy, and best clinical practices for individuals with a genetic syndrome of the Ras/mitogen activated protein kinase (MAPK) pathway. 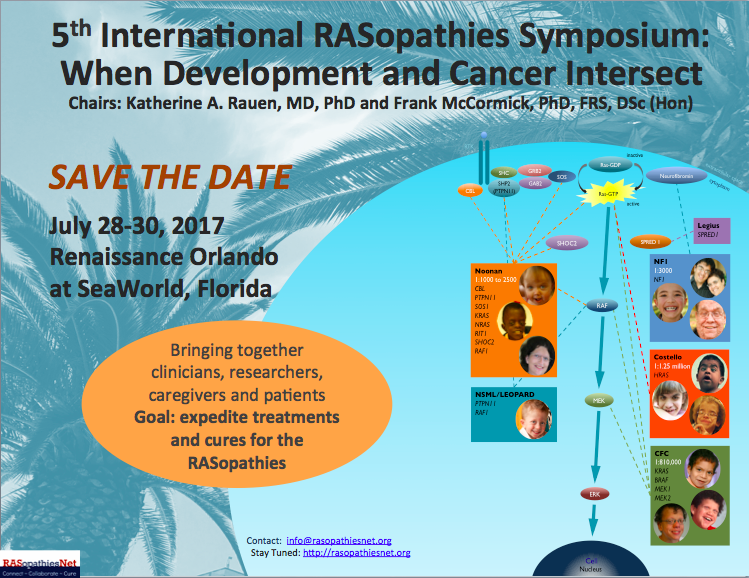 The goal of this meeting is to bring about a better understanding of the developmental roles that the Ras/MAPK pathway plays, toward better medical management and promising therapies for the RASopathy syndromes. The Ras pathway controls essential cell behaviors, many of which have been studied in the context of cancer, but which are also required for normal embryo development. So, it is not surprising that uncontrolled Ras pathway signaling leads to serious problems in fetal and child development, in addition to predisposing affected individuals to cancer. 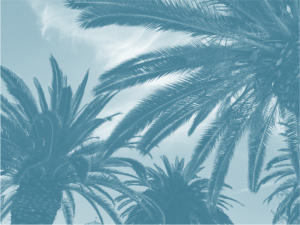 NF Network will again be holding their Post-Symposium Meeting – contact information HERE. This symposium is scheduled to overlap with the Costello Syndrome Family Conference.